Paris, France-based A/B Tasty has just raised €1.1m in funding (read here). 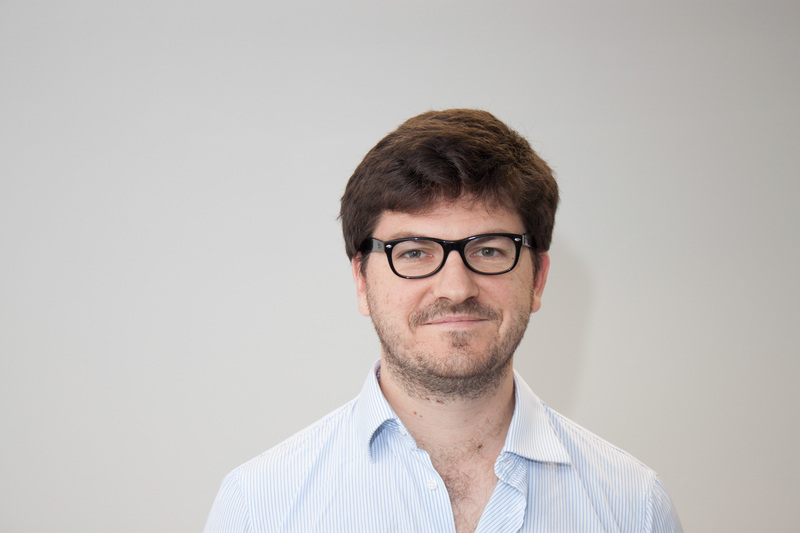 Rémi Aubert, the co-founder of the startup that offers an A/B testing and website optimization solution for data-driven marketers, answered our questions about himself, the company, the product, the round, and future plans. FinSMEs: Hi Remi. First, can you tell us a little bit more about you? What’s your background? Remi : Hi, I’ve started in the Internet business a few years ago. At that time I was in charge of the search engine optimization of a price comparison engine in France (Twenga). Next I joined the search marketing agency Keyade (acquired by GroupM – WPP just a few weeks ago) to work on SEM and affiliate marketing. After this experience, I wanted to embrace an entrepreneurial experience, so I co-founded with Alix de Sagazan a web analytics agency focused on e-commerce conversion. FinSMEs: Let’s speak about A/B Tasty. What’s the problems you want to solve and the opportunity you found in the market? Remi: During this experience, we realized that conversion optimization was considered a technical challenge : our clients wanted to test optimization ideas but were facing technical constraints. Even smallest changes on their website took days or, even worse, months to be implemented because IT and Marketing agendas were not aligned. We anticipated a need for a tool, such as AB Tasty, that will help our clients to be more independent / move more quickly and that could, at the same time, provide figures to act upon. That’s why we developed AB Tasty: a SaaS solution to quickly run A/B tests. Our solution is innovative in simplifying to a maximum the implementation of all kind of tests (A/B tests, multivariate tests, split tests, funnel or multi-pages tests), making them accessible to all marketers, whatever their technical knowledge. Remi: As mentioned earlier, there is no need for technical know-how! We provide a visual editor to helps you modify/redesign your pages. Once our HTML code has been integrated, that’s all you have to do, it’s the same for every test. You can next bring your ideas to life in minutes. You modify your pages in any way you want with just a few clicks, using our graphics editor. You can create all kinds of tests from the same interface, from the very simple to the very complex ones. Another key features is the ability to precisely target the pages and users to be included in your tests. We provide various criteria (URL, content types, devices, geolocation, traffic sources…). You can even use your own data, such as a specific segmentation. Eventually, you compare the performance of your optimizations and base your decisions on measured data. You set your own business indicators, from user engagement to conversion rate via turnover generated and average order value. We record your indicators for each variation and calculate differences in performance compared to the original. A statistical reliability index tells you whether these differences are significant and from what point you can rely on the figures to make your decisions. FinSMEs: Can you introduce the team? Remi: We started with 3 people in 2011 and quickly grow. We’ll be 27 at the end of this year, which is good performance since, so far, it was only through self-financed organic growth. Our solution was, indeed, well received by the French market and big ecommerce brands, among the leaders in France, are using our tool. The team is mainly made of 3 groups: the technical development team with engineers that keeps improving the solution by adding new features, the client support team that helps our client to leverage the potential of the tool, and of course the business development team. FinSMEs: Where are you now in terms of growth? Some numbers? Remi: We don’t produce sales figures but I can tell you that the growth is around 300% every year since we started. We have around 240 happy customers and 27 happy coworkers as stated before. On the French market, we mainly focused on the Tier 1 of ecommerce websites but will enlarge our target list with the fund raising. FinSMEs: You just raised a round of funding. What can you tell me about the investors? How are you using the funds? Remi: This fundraising will allow us to step up our R&D investments in disruptive innovations. The objective is to anticipate fluctuations in the market whilst having already offered our clients tools that are unique on today’s market, such as multivariate tests, multi-page, segmentation and targeting, content personalization, and integration with third party tools. Additionally, we are strengthening our presence on several mature or maturing European markets including Germany, Great Britain, Italy, and Spain. To do so, we plan to recruit new experts in marketing, computing, and commercial engineering, increasing our workforce from 27 to 50 employees by the end of 2015. Remi: We’ll definitively look into mobile testing and predicitve segmentation based on machine learning algorithms. FinSMEs: Finally, what about Paris as a startup ecosystem? Is it growing? Exciting?